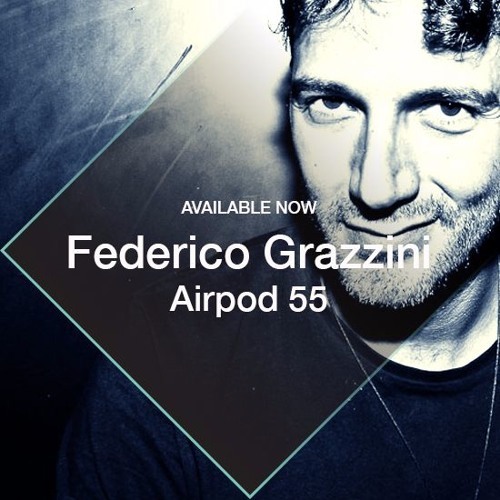 Airpod 55 - Federico Grazzini streaming only - download via iTunes soon Next up on the Airpod series is new signing Federico Grazzini. Living between Italy and Ibiza and always jumping from club to club around the world, Federico prefers long DJ sets where he moves between house and techno melting with his everlasting passion: funk. He has been playing in some of the best clubs worldwide, from Womb in Tokyo to Cielo in NY, from Watergate in Berlin to Fabric in London, and Tenax in Florence. His residencies in Cocoricò (Riccione), The Zoo Project and Unusual Suspects (Ibiza) makes him one of the most prolific Italian artists around. The mix showcases Federico's versatility, moving from house through to techno.